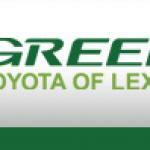 Here at Green's Toyota of Lexington, our Service Technicians are trained experts in the maintenance and repair of Toyota vehicles. We have 20 Toyota Trained Technicians on staff including 5 Toyota Master Technicians and 2 Toyota Master Diagnostic Technicians. We also have 9 Technicians who have been Certified by Toyota to repair Hybrid Models.